MAV-3EC Fuel Tank Ventilating System with reusable equipment storage container. 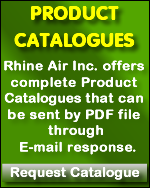 Ideal for all Aircraft or Rotorcraft Models. MAV-4EC Air Duct and Adapter Accessory Kit with Reusable equipment storage container. Designed for use with MAV-3EC Fuel Tank Ventilation System. System #6 Fuel Tank Ventilating System Designed for Narrow or Wide Body Aircraft. System #7 Fuel Tank Ventilating System Ideal for all Aircraft or Rotorcraft Models. CAN-45E Fuel Tank Ventilating system with Manually Transportable Equipment Storage Cart. Includes two Ventilators with attaching components. Ideal for Fixed Base Operations. MAV-380 Air Duct and Adapter Accessory Kit with reusable equipment storage container. Designed for multiple Fuel Tank Ventilating applications on Narrow or Wide Body Aircraft.